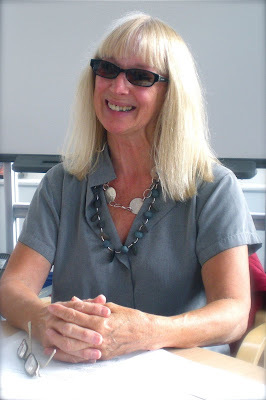 I met with Ann Kelley in September, before a poetry workshop during the Wonderful Words Festival, at St. Ives Library. Not only is she an award-winning novel writer, she is the author of two books of poetry, a handbook on teaching patients to write poetry, two of photography and an audio book of stories about cats. Her third novel, Inchworm was published on October 4th, and is part of a series. The first two books, The Burying Beetle and The Bower Bird, tell the story of Gussie, a 12 year-old girl who suffers from pulmonary atresia, a rare heart disease. Gussie is marked by her vivacity and thirst for knowledge, living every day to the full. The character is modeled on Ann’s late son, Nathan Kelley, who suffered from the same congenital heart condition. When her son was born doctors said he would not survive the week and later said he would never walk. But Nathan defied predictions and lived to become an accomplished student. He had a passion for marine life and discovered two new fish cancers at the age of 16 (both registered with the Smithsonian in America). Nathan went on to study pathobiology and space sciences at Reading University and University College London. Nathan died at age 24, a week after receiving a heart and lung transplant in December 1985. Ann began writing poetry two years after Nathan’s death and published The Poetry Remedy in 1999 and then Paper Whites in 2001. Ann’s first novel, The Burying Beetle, was published in 2005 by Luath Press. 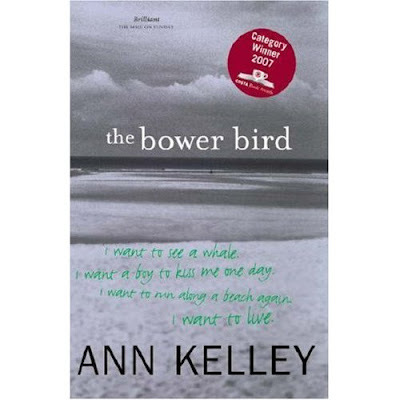 - The Bower Bird - winner of Costa Children’s Award for Fiction 2007; Shortlisted for UKLA award; winner of Holyer an Gof Children’s fiction and winner of Holyer and Gof Prize for Outstanding Literary Publication 2007, Shortlisted for Weread Book for Young Adults 2007. - Inchworm - launched October 4, 2008. Ann has also won several prizes for her poetry and has run courses for aspiring poets from her home. She also conducts special study units in poetry writing for medical students and speaks about her work with patients at medical conferences. She is an honorary teaching fellow at Peninsula College of Medicine and Dentistry, University of Exeter and Plymouth. Ann Kelley has a daughter, Caroline, and two grandchildren. She lives with her second husband in St Ives, Cornwall. Is there anything you particularly like about living in St.Ives? 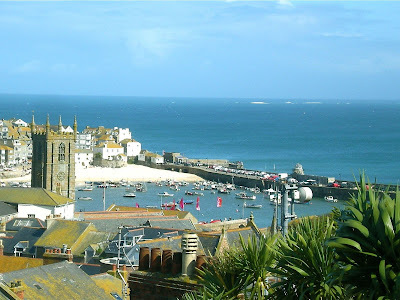 St. Ives has been a safe harbour for me and my children. I love the continuity of life here, how when you go shopping for a loaf of bread five people will stop and speak and it takes 2 hours instead of 2 minutes. I love being able to walk everywhere, I love the sounds of the gulls and the smell of the sea and air. I read that you nearly played cricket for Cornwall? I played cricket for St. Ives Second Eleven team - (the only woman). I had a women's team - St. Ives Gulls and was asked by the Captain of Cornwall Ladies’ to supply three girls to play for Cornwall against Devon. I modestly left myself out, but wish I hadn’t! I would have loved to have that on my CV. The working title for my book due out in 2010 to be published by Oxford University Pres is Ko Tabu, but we’ll probably change it. It’s an adventure story, dark and violent. It’s for young adult readers. It’s about nine girls marooned in the Gulf of Thailand, set against the backdrop of the Vietnamese War. Awful things happen right from the impetus. I thought what would have happened in Lord of the Flies, if it had been a group of girls and not boys? I think girls would behave differently, they are more caring, there’s no Piggy character. Inchworm came out on October 4th, the third in the Gussie series. Why did you choose that title? It's just a coincidence that the titles of the first two books (The Burying Beetle and The Bower Bird) are alliterative, but they are both from the natural world, both unusual and not well known - as is Inchworm, and Gussie is fascinated by that. With the launch of Inchworm I believe you did a UK tour? I started in Scotland; Glasgow, Edinburgh, and I was invited to the Beverley Literature Festival, but unfortunately that was cancelled, so I didn't go. I was born and lived near there, until I was two. We lived at the Coastguard station. In my memory I have a picture of a church, and my sister says it was the church at which I was christened, Patrington Church, so I thought I must visit that. I first went to school in Caithness, and I went back to the place where I once lived. It was a remote headland, and it was exactly as I remembered it, incredibly beautiful, I loved it. But I’m an Essex girl really, I attended St. Bernard’s Convent High School. Your novels have been pitched as crossover. Do you write aimed at young adults? Not at all. 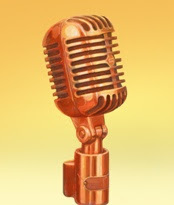 If anything the nominations for the Branford Boase in 2006 (The Burying Beetle) and the Costa (Children’s Prize for Fiction) 2007 (The Bower Bird) changed, it was that I realised I am looked upon as a Young Adult writer which is fine, except that it may limit the number of readers you may appeal to. The Burying Beetle is also in print with a crossover cover. The other book covers use my own photographs. What do think about the age banding of books? I don’t like it. Booksellers do it anyway, they know where to put books. And a ten year old might miss a book that was labelled for a six year old, that would have been wonderful for them. I signed the Pullman petition. What’s your own favourite book? Katherine Mansfield is my favourite writer of all time, she just gets children so right. Her short stories are wonderful and I read and re-read them over and over again. And Middlemarch. But one book, it would probably be the House at Pooh Corner. It’s full of philosophy and gentleness and humour. You see something new in it every time you read it. It’s not meant for children at all, but for the adults that read them the stories. You are an honorary teaching fellow at Peninsula College of Medicine and Dentistry, University of Exeter and Plymouth, and teach poetry to students? Yes, medical students. Three or four times a year for three days, maximum five at a time. They come here, to our home. They’re anything from 18 to 25, but we get mature students too. It’s part of their Medical Humanities’ course, a special study unit. They can choose between music or art, for example, or poetry. Children have to choose (subjects) so early these days, they get pushed down the science road and have to lose their instincts, their imagination and creativity. The students can discover that aspect of themselves again, in the workshops. But I don’t worry about the poetry, as much as I do the cooking. They’re usually a diverse group, the last time it was a mixture of Muslim, Jewish, vegetarian considerations. I ended up doing a wonderful French onion soup. If I can get the food right, I usually think things will go OK. My husband says they only come for the food. I do mark their work and I correct their spelling, punctuation. Rob, my husband, says I am much too critical, but it’s important. Part Two will cover Ann's writing and publishing experience, her writing advice, notes from her Publisher Luath Press and her (other) claim to fame! Who did she go to school with, that she would love to play Gussie's Mum in a film version of her books? Wonderful interview, needs a cup of coffee with it, very chatty and interesting. Looking forward to part 2 - was interested in the Cornwall stuff being Cornish myself! What an inspiration Anne Kelley is, and still very open and friendly. Few things lift me up like learning a good writer is a good person as well. Mike and Kathleen already said what I wanted to say (except for the bit about being Cornish).